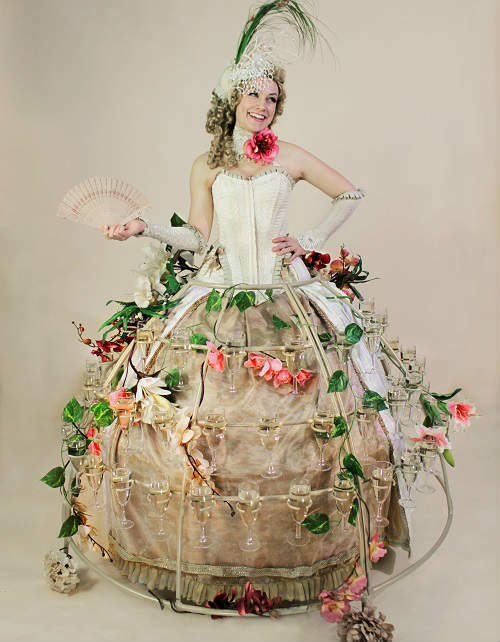 Surprise your guests with a unique spectacle and a charming meet and greet welcome with Pyromantic’s themed champagne dress. 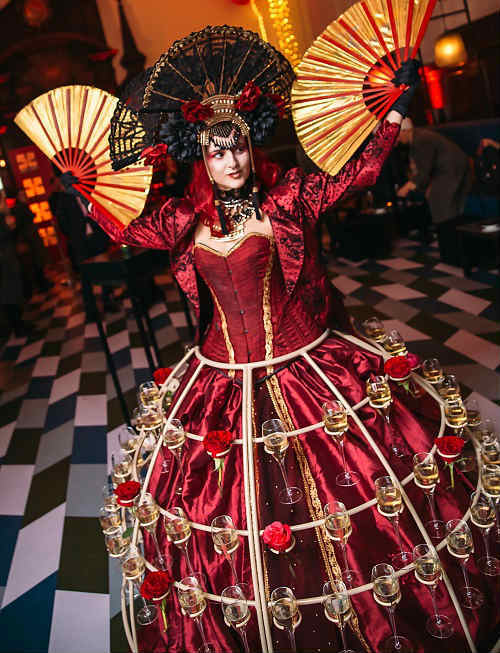 Whether it be a private party, corporate event or wedding, our delightful themed champagne dressed hostesses are dedicated to leaving every guest with a drink in their hand and a smile on their face, perfect for photo opportunities. Elegant, interactive and a unique way to serve either champagne, wine, or cocktails. 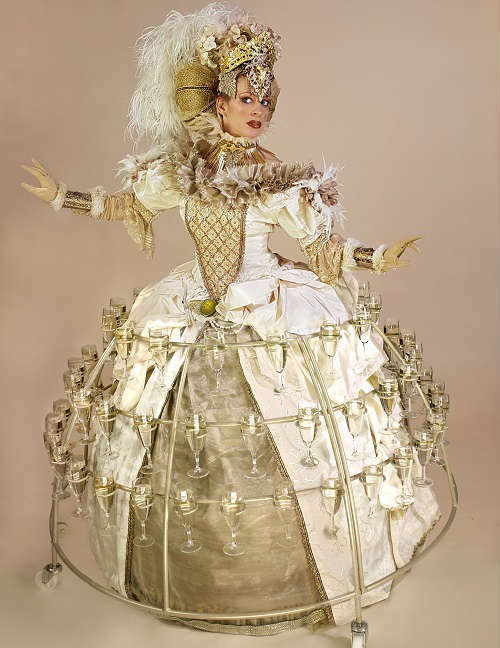 The themed champagne dress holds most standard stemware. 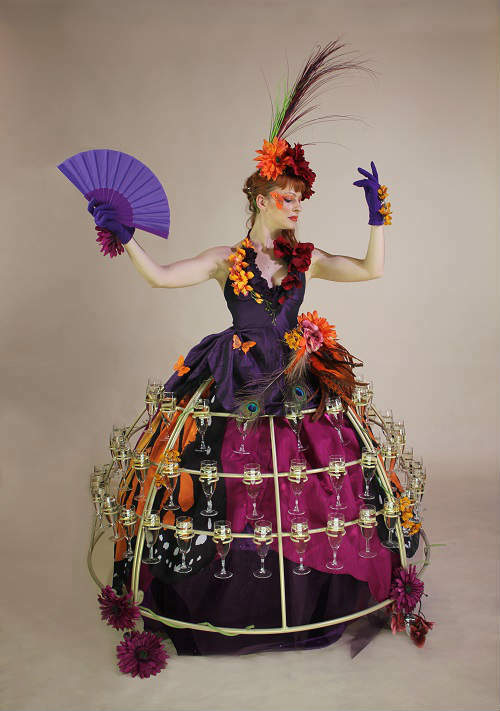 The meet & greet hostesses are also available to serve both a mixture of drinks and canapés as our couture canapés table top (or costume style) can be added to the dress upon request for a small extra charge. 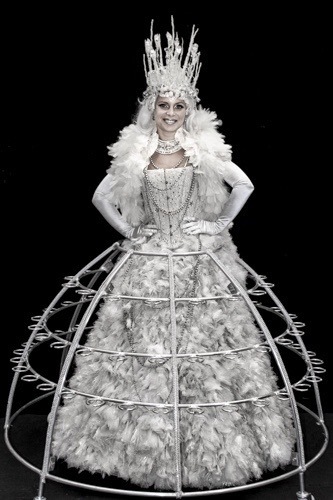 You can choose from any of their fabulous costumes, or their costumier, can work with you to create a bespoke design for your event.